All India Federation of Astrologers' Societies (AIFAS) was founded in Delhi on 9th May 2001, which according to the Hindu Calendar was Samvat 2058 Jyeshtha Krishna Dwiteeya Wednesday in Anuradha nakshatra and Parigh yoga. The organisation is registered under the Society Act - xxi of 1860 and has registration no. S-39420/2001. The candidates who wish to learn Astrology and all its branches may enrol themselves in the AIFAS certificate courses. These courses are specially curated to be a perfect match for every student who has an inquisitive bend of mind and a knack to learn. The candidates who wish to learn Palmistry and all its affiliates, can enrol themselves in the AIFAS certificate courses. The course for Palmistry is curated for those who have a knack for reading lines and faces. The candidates who wish to learn Numerology can opt for the AIFAS certificate courses. The course for Numerology is designed in a way so that a learner gets the most advantage while learning a language that’s perfect for them. The candidates willing to learn Vastu and all its offshoots, can partake in the AIFAS certificate courses. These courses are designed keeping in mind the dynamics of a learner so that they are a perfect match for everyone! The All India Federation of Astrologers’ Societies was founded with the sole purpose of bringing the esoteric knowledge of Occult Sciences to the fore. With a panel that resounds dedication and wisdom, the federation prides itself in imbuing its students with technologically superior, and morally ethical knowledge that meets global standards. To work for the unity of astrologers, palmists, numerologists, vastu specialists and practitioners of any occult science and creating a common platform for them. To unite other societies, registered or unregistered, national or international working for same cause on a single platform while strengthening mutual relations. To promote education in the field of Astrology and allied subjects and set a level of competence pan-India. To print and publish books, magazines, periodicals, journals and other education-related technical materials in the field of Astrology. To conduct seminars, conferences, workshops, exhibitions and public meetings. To honour and bestow the knowledgeable in the field of astrology and occultism with the recognition they deserve. The following guidelines must be adhered to while opting for taking admission in AIFAS. 2 forms enclosed with the Prospectus of the course must be filled. Deposit the money mentioned for the course to the desired study centre along with the forms. A cheque or a Demand Draft is the only acceptable modes of payment. It should be drawn on the name of the centre or chapter chairperson. However, you can also deposit the course fee in cash at the study centre. You are to decide the course of study and confirm the duration and timing of course at the time of admission. ** The forms will be mailed to you in case you can’t get your hands on the Prospectus. The admissions follow a strict protocol of following the levels. After successful completion of Jyotish Ratna (1st level) can only one person get themselves enrolled in Level 2 of Jyotish. And the same goes for all. The Rishi Programme offered by AIFAS is a study of original texts surrounding important personalities or buildings is done. The admission process would require a student to have at least 3 years of experience in Jyotish Shastracharya or a degree equivalent to that. For every level other than Level 1, an eligibility test would be conducted. This would include a written and verbal exam conducted by our expert. Practising Vastu specialists or those who have done Vastu Shastracharya, one may join Vastu Rishi. Similarly after Samudrik Shastracharya or practising Palmist may join Samudrik Rishi. For research in astrology, admission may be taken in Jyotish Maharshi. To enrol in this course, the minimum requirement is Jyotish Rishi or 5 years of experience in astrology. For research in Vastu, admission is offered in the course Vastu Maharshi. To opt for this course you need to have a certification equivalent to vastu Rishi from a recognised organisation or 2 years of experience in Vastu. For research in Samudrik Shastra, students may take admission in the course Samudrik Maharshi offered by AIFAS. The desired qualification for admission in this course is certification of Samudrik Rishi from a recognised institute or 2 years of experience in Numerology. The fee Structure is mentioned in complete detail to guide you in choosing the Best astrology course online. **NOTE : The above fee structure is indicative of minimum charges. It might fluctuate depending on the chapter. The duration of each course will be 6 months. These on few centres could be completed in 3 months on the basis of more frequent classes. Out of this last 2 classes are designated for examinations. Few classes are earmarked for discussions and invited guests. **According to the syllabus, the time duration of classes might get reduced or extended and students will be informed beforehand. Each course will comprise of one semester of 6 months. The classes will be of 2 hours on Saturday and Sunday or any other weekday as decided by the chapter. All courses will be available for short-term durations too. The classes for the same will be held three to four days in a week and will be completed in 3 months. **The students who are short on time and need to learn astrology quickly may opt for these short-term courses. The syllabus and total hours devoted to lesson are the same for long-term and short-term courses. **All Maharshi programs are of 6 months duration. The duration of the program may be more or less depending on the completion of the research. For the sake of convenience of students, classes might get organized in the evening. For further details, you can contact the Chapter Chairman for details of days, time and the courses offered. The desired study material will be provided to every student by the centre itself. All the required textbooks will be given to students. 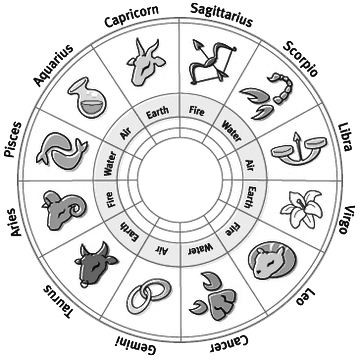 Additionally, students will be given horoscopes in astrology courses or a compass etc. in the Vastu course. For all the courses, the examinations will be conducted at the end of the term semester. Each course comprises of 3 papers. It is mandatory to secure a minimum of 35% marks in each paper. For the calculation of aggregate, a minimum 50% marks must be maintained to clear the level. A certificate will be issued for the student depending on the fulfilment of the above conditions. In case of revaluation of the answer sheet, Rs. 200/- must be deposited for one paper and for all papers Rs. 500/- must be deposited. In the Rishi course, one has to write a detailed analysis of an example problem and a thesis on the comparative study of two or more texts on a given subject. It is necessary to obtain a minimum of 35% marks in each paper and a minimum of 50% marks in the aggregate. For Jyotish Maharishi, the viva voce examination for the thesis will be conducted by an expert and his/her decision will be binding for approval of the thesis. Uniqueness and completion would be the deciding factor. A minimum of 70% attendance must be maintained in order to appear of the examination. In special circumstances, the decision of the Chapter chairman will be concluding. Each course will be conducted in Hindi, English and regional language. The study material of the course will also be provided in the same language that is opted by you. If due to some reason, the text material is not available in the regional language then the students can opt for Hindi or English texts. However, they are allowed to write their exam in their regional language. Short Term Courses All Programmes : 3 Months 1st Jan., 1st Apr., 1st July., 1st Oct.
Long Term Courses All Programmes : 6 Months 1st Jan., 1st Apr., 1st July., 1st Oct.
Rishi & Maharshi: 6 Months 1st Jan., 1st Apr., 1st July., 1st Oct.
All the details of the courses are mentioned on this page, however, in case of a query, you can contact the Chapter Chairman. Few chapters might change coaching days, duration of the course, time or venue of the class. For any query, you may contact your chapter or the AIFAS helpline number and receive aid. A separate ID card would be issued for all the students enrolled in the course. After the full payment of the course, you will be issued a photo identity card. In case of any query, you can contact the Chapter Chairman to know which course is being started when. Study material will be provided by the Federation and a certificate of participation will be issued on completion of the course. Note: No examination will be conducted after completion of the course. The fee for each course is Rs. 2500/- only. Those who have a knack for learning astrology but do not have the time to spare, or live away from Delhi (NCR) can opt for Correspondence Astrology Courses offered by AIFAS. You can contact our nearest chapter of the Federation to know more about the Astrology Online Courses. All the programmes offered by us are available as Online Astrology Classes module. he Fee for the Programme would be the same as the Fee Structure mentioned above for Non- NCR region. The answer sheet for question papers of correspondence course has to be submitted with the chapter. A certificate would be provided after securing 50% marks in the examination conducted by the Chapter. 50% marks are the minimum criteria for passing the examination.